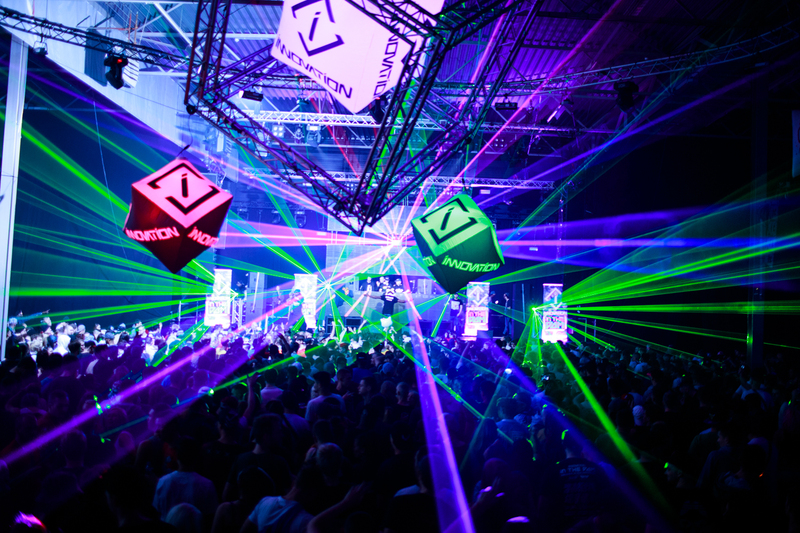 Innovation will be returning to the city of Amsterdam, from the 25th – 27th of November, in conjunction with Warning Events, bringing the best of the upfront Drum and Bass scene to two iconic venues in the city. The three-day bass heavy weekender, that has now been running for over a decade, will take place at Melkweg (Friday & Sunday) and The Box (Saturday), as well an exclusive boat party and coffee shop podcast live-stream during the day. Innovation never fails to produce the biggest line up that the global Drum and Bass scene has to offer, celebrating equally old and new artists. Headlining this year’s event are the original pioneers of the rave movement Andy C, DJ Hype and DJ Hazard who never fail to give an explosive and energetic performance. 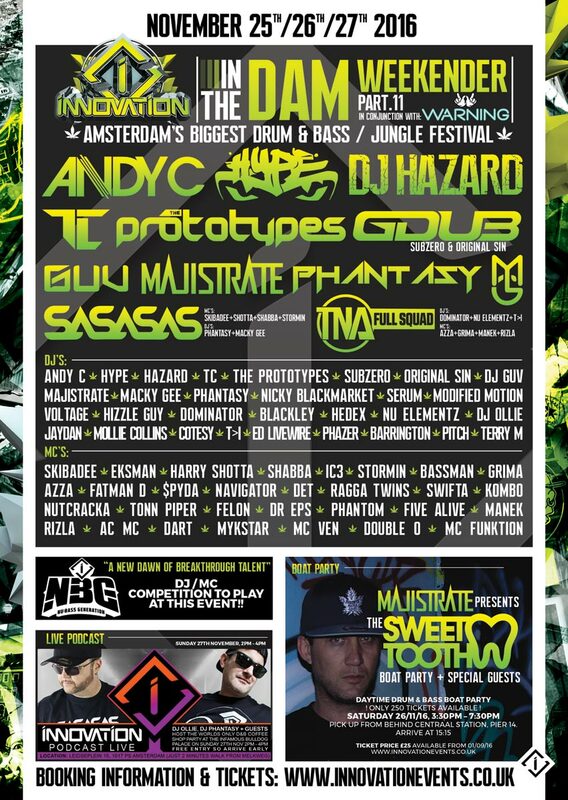 Alongside are the heavyweight acts in the jump-up scene are Majistrate, G-dub (Sub zero & Original Sin), DJ Guv, and the SASASAS. Innovation is also showcasing the next generation of Drum and Bass with new and emerging talent on the scene; the young Hedex, the unstoppable Hizzleguy and Blackley, who is known for his 6 deck mixing techniques, will all play. Every set will be hosted by a variety of the best lyrical MCs in the game featuring Skibadee, Eksman (definitely the best man), the world record breaking Harry Shotta, Fatman D and many more. If you’re still standing at the end of the weekend, you’ll also get to experience one of Europe’s most cultured cities filled with Holland’s famous coffee shops, many tourist attractions, historical buildings, art galleries and hundreds of unique retailers and restaurants. Guides on how to book travel and accommodation are available through the Innovation in the Dam website. 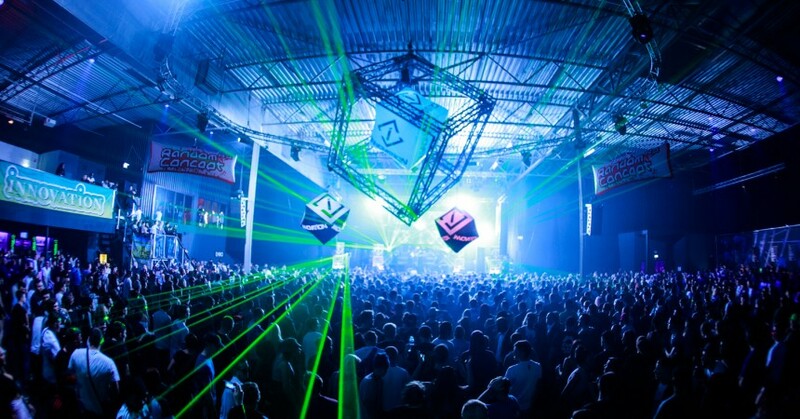 Innovation In The Dam is one of the most recognised and respected dnb events in the scene and is attended by the thousands of party-goers from across Europe every year. Secure your booking now to avoid disappointment! Bestival 2016: The Future Or No Future?